Deciding to put your home on the market is a big step. Many homeowners feel like tackling a few home improvements before selling is necessary to get the home in tip top shape. 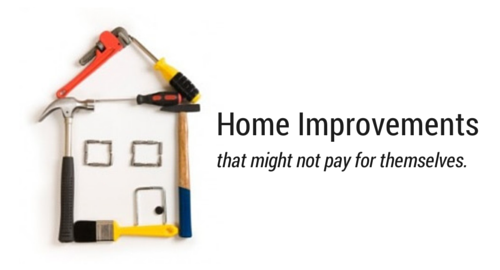 However, some home improvements might not pay for themselves in the long run. There are things you can do to easily give your home the edge over the competition, but there are many things that could be a big waste of your time and money when getting your home ready to sell in Central Florida. Upgrading too extravagantly. Everyone loves a little upgrade when it comes to an outdated home. The difference between doing a few simple upgrades and doing many extravagant upgrades is what we are talking about here. New cabinets in a kitchen that is over twenty years old might be a wise choice. However, as an example, adding a wine fridge and the most expensive marble or granite countertops might sound nice, but you might not always recuperate your costs when its time to sell. If your home’s overall size and location don't match that of these extravagant upgrades, a potential Buyer might not see or appreciate the true value in them. Over "Greening" your home. Now, when we talk about over-greening your home, we don’t mean installing a tankless water heater or having foam insulation sprayed into your walls or ceiling. Those kind of “green” upgrades can add value to your home because of the money they will save you and potential Buyers in the long run. The type of over-greening we’re talking about are the things that will cost significantly more upfront with a low return on your investment or simply to keep up with a trending fad, but don't necessarily pay for themselves in the long run. Remember, your home is still an investment, so make greening decisions that will truly help make/save you the most money in the long run. Creating special purpose rooms. While you might love that movie room for the screening of a newly released movie or to gather with friends for football season, it may not carry the same appeal to potential Buyers. Most Buyers think in terms of what is affordable and practical and not every potential Buyer will think a movie room, that is taking up the space of what was once a guest bedroom, is right for them. 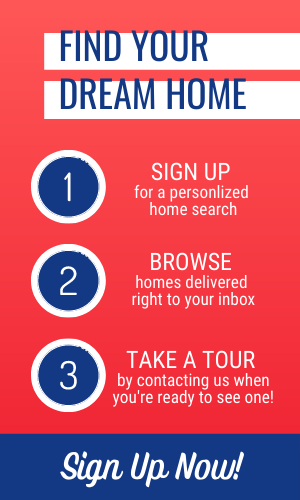 Remember, when it comes time to list your home, you want potential Buyers to feel like your home is a home they could see themselves living in. A movie room, game room or other special purpose room might speak to some, but not to all. Putting in a pool. This one can be a tough decision to make. Living in Florida, many people think having a pool is an asset (especially in the hot summer months) but when it comes to selling a home this might not always be the case. As enjoyable as a swimming pool may be, they also add costs when it comes to electricity, maintenance and even property taxes. Along with cost, time is an important factor. Taking care of and maintaining a pool takes time, something not all potential Buyers want to add to their already busy schedules. If you are thinking about installing a pool for your own personal enjoyment then go for it and enjoy the almost year-round swimming afforded to Central Florida residents. But if you are thinking of doing it to add value to your home for when it comes time to sell, we suggest you think again. Carpeting vs Hardwood (or even certain wood laminates). If your home is in need of new, updated flooring, think long and hard before you make your final decision. While replacing carpeting might sound like a quick, easy and affordable solution, many Buyers today look for other options when it comes to flooring, especially hardwood or even laminate wood floors. Many times, hardwood, laminate wood and tile floors even make homes feel more open and spacious, key factors many homebuyers today are looking for in a new home. When it comes to home improvements, there are certain upgrades to consider, but just as many upgrades to bypass in order to make the right decisions when it comes to profitability. As a Seller, you want to make decisions that will get you the biggest bang for your buck. The Central Florida real estate market is on an upswing, with list price to sale price ratios being up, along with increased median sale prices. Before making home improvement mistakes, contact a honest and competent Realtor® to discuss how to ensure you benefit from these home improvements and don't waste your hard-earned money on projects that won't pay for themselves in the long run.